The KARS Institute's Lunch N Learn Series is an opportunity for you to participate in short learning opportunities from the comfort of your home or office--in 30 minutes or less! We recognize that fitting in time to take a workshop or class may be difficult--especially if you're operating a business, managing a nonprofit, volunteering your time or still employed at a full-time job. With the demands that life places on us and the opportunity that technology affords us, we decided to create an opportunity for you to have a break where you can stimulate your mind and keep the flames of your passions fanned for your business, organization or project as you learn new skills, explore new opportunities and have the chance to collaborate with new colleagues! The KARS Institute's Lunch N Learn Series will offer topics in a variety of areas that are of interest to nonprofits, community organizations, churches, schools, teachers, small businesses and individuals. These may include: funding and fundraising, grants and grant writing, creating sponsorship resources, publicity and public relations, PR strategies, and others. Additionally, there will be opportunities for members of the group to meet for Lunch N Learn Idea Exchanges (TM), where you'll have a chance to talk to others about your organization and share ideas about what has worked for you and hear what has worked for others. Many times we just need a fresh perspective on things when approaching a situation in order to find the best answer. 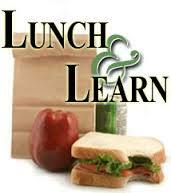 Lunch N Learn Sessions will be offered twice per week at 12pm. The topics of discussion will vary each week and the fee per session is $19.95. Sign up for our email newsletter to receive updates, schedules and topics. If you have any questions or need additional information, contact us.